AMES, Iowa – Practical Farmers of Iowa’s Savings Incentive Program aims to help beginning farmers succeed by matching up to $2,400 dollars in start-up cash, providing access to an experienced mentor and support network, and offering resources to build a solid business plan. The popular two-year program is now accepting applications through Oct. 10 for the January 2019 enrollment. Since it launched in 2010, SIP has helped set 138 beginning farmers on the right path to establishing a healthy farm business. After 24 months and completion of all program requirements, participants earn a dollar-for-dollar match on money saved up to $2,400, for a possible $4,800 that may be used to help purchase a farm asset. This savings component helps beginning farmers overcome prohibitive start-up costs, though many participants cite the networking, mentorship and business plan work as the most beneficial aspects of the program. 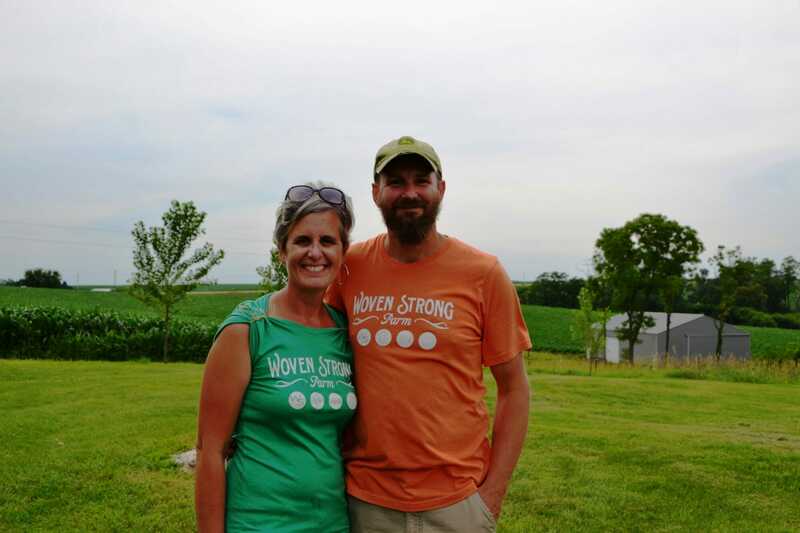 Bill and Stacey Borrenpohl launched Woven Strong Farm in Jackson County in 2011, then joined Practical Farmers of Iowa and enrolled in the Savings Incentive Program shortly after. Although both come from farm families, they faced a steep learning curve to get where they are today managing hogs, chickens, meat goats and Lowline cattle on pasture. Applications must be filled out and submitted using the online form at practicalfarmers.org, which will then be evaluated by a committee of PFI members using a scoring system that rewards a noticeable commitment to developing independent farming goals. Up to 12 beginning farmers will be admitted this round. Eligibility: Applicants must either be farming on their own now and have farmed for five or fewer years; or they must have some experience working for a farm business. This includes, but is not limited to: internships, apprenticeships, working as an hourly or salaried employee, or working on the family farm. Applicants must also be members of Practical Farmers of Iowa, and either reside or farm in Iowa. Those who are not members can join at practicalfarmers.org or by calling (515) 232-5661. For questions about the Savings Incentive Program or application process, contact Greg Padget at greg@practicalfarmers.org or (515) 232-5661.